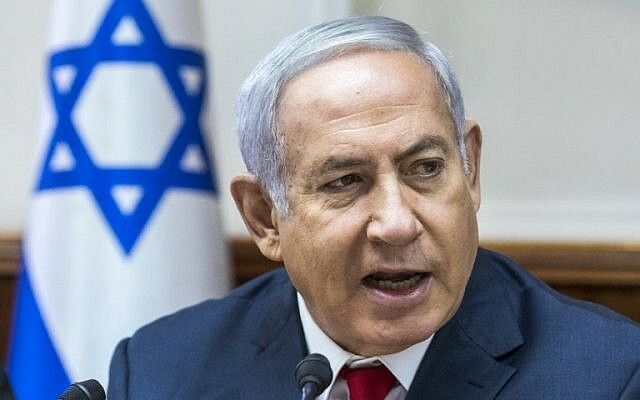 Prime Minister Benjamin Netanyahu supports a reported plan by US President Donald Trump to halt all aid to the UN agency for Palestinian refugees, Hadashot news reported Friday. “Israel supports the move because UNWRA is one of the main problems perpetuating the conflict,” Hadashot quoted Netanyahu’s office as saying. 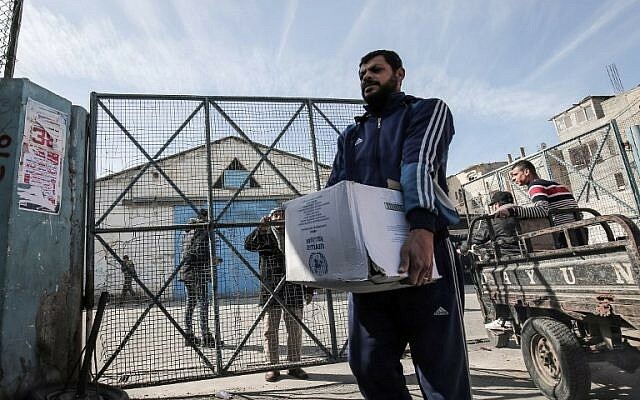 A senior Israeli official told Channel 10 TV that Israel supports providing humanitarian aid to Palestinians, but not through UNWRA (the UN’s Relief and Works Agency for Palestine Refugees). The official said the funding would be better spent by other agencies. The Washington Post reported Thursday that Washington has made a final decision to halt all funding for UNWRA and will announce the move in the next few weeks. 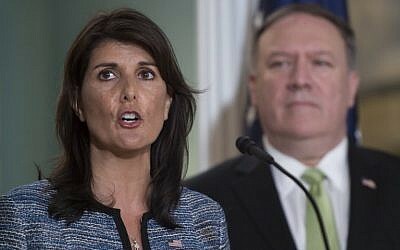 The State Department said Friday it had no announcements to make on UNRWA funding, and UNRWA’s representative in Washington, Elizabeth Campbell, said the agency has not been informed by the administration of any final decision about its funding. 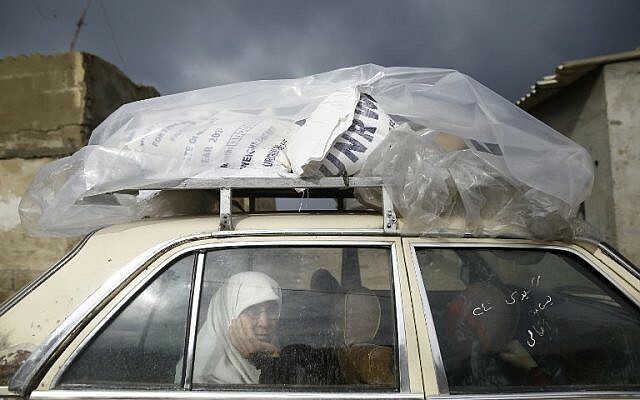 It comes amid deepening concern over deteriorating humanitarian conditions in the West Bank and Gaza. The US donated $355 million to UNWRA in 2016 and was set to make a similar contribution this year. In January, it released $60 million in funds but withheld a further $65 million it had been due to provide, making clear that further donations would be contingent on reforms of the agency. The Trump administration is now set to reprogram the remaining funds — around $290 million. 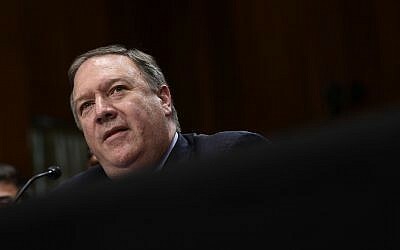 The withdrawal of US funding would leave UNRWA facing a financial crisis, but Campbell noted that Saudi Arabia, Qatar, the United Arab Emirates, and others have provided more than $200 million in new funding to help cover its budget this year. In recent days, senior Trump administration officials have publicly reiterated their dissatisfaction with UNRWA but stopped short of saying the US would defund the agency, a planned move which was reported first by Foreign Policy magazine. 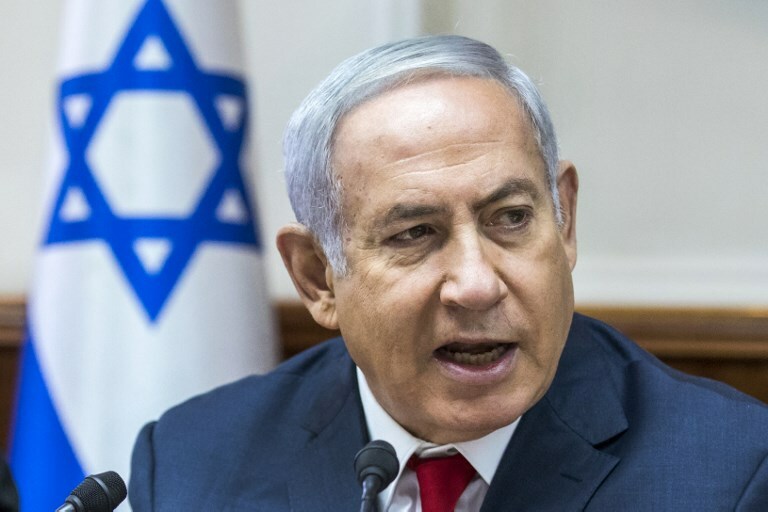 The Washington Post added that the decision also included a previously reported plan to remove the refugee status from millions of Palestinians around the world — recognizing only several hundred thousand instead of the five million claimed by Palestinians. Last weekend a Hadashot TV report said the US would announce a policy that, “from its point of view, essentially cancels the ‘right of return.’” It said the US in early September will produce a report that says there are actually only some half-a-million Palestinians who should be legitimately considered refugees, and makes plain that it rejects the UN designation under which the millions of descendants of those displaced between 1947 and 1948 are also considered Palestinian refugees.